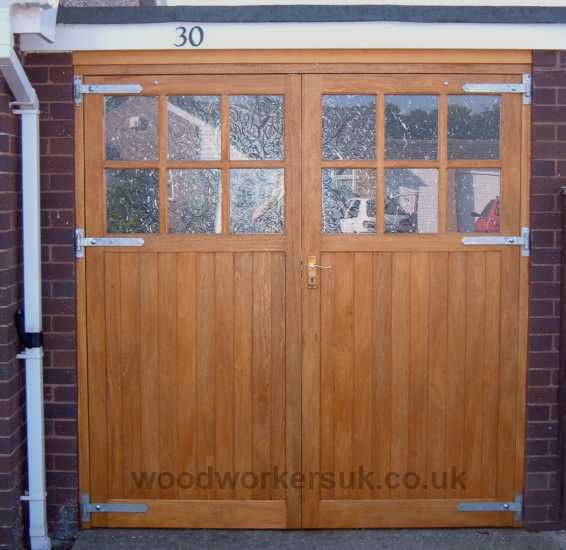 Conway garage doors shown in Idigbo, Hardwood. Click to enlarge image. Looking for some Georgian style garage doors with windows? 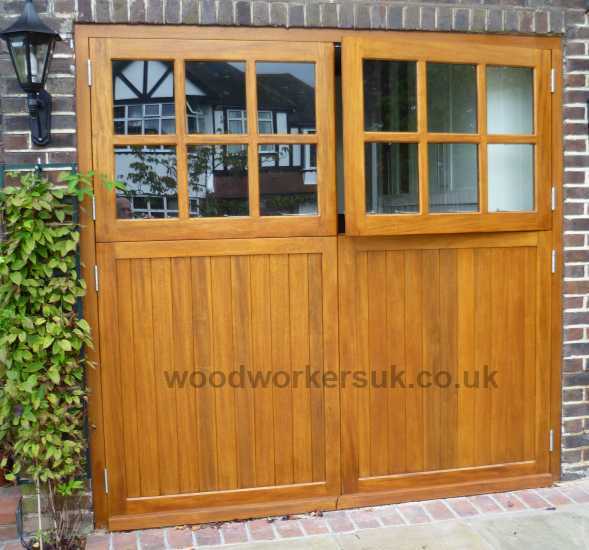 Our Conway hardwood garage doors are maybe just what you are after! Each door features six individual openings for glazing which gives great natural light into your garage (ideal if you’re using it as a workshop)! Don’t fancy messing about puttying your glazing into place? You don’t have to! Our Conway garage doors are supplied pre-beaded – it’s just a case of removing the beads, bedding the glazing in silicone and tacking the beads back into place. Whats more for extra security the beads are fitted internally – rather than fit the glass in from the external side of the doors, with all our garage doors with windows the glazing fits from the inside! Did I say our Conway doors were only available in Hardwood? Well now they are not they are now also available in Accoya modified softwood as well! Rear view of our Conway hardwood doors in Idigbo. Here you can see the middle ‘hidden rail’ and braces. Pre-beaded internally – all of our garage doors with windows can take double glazing. 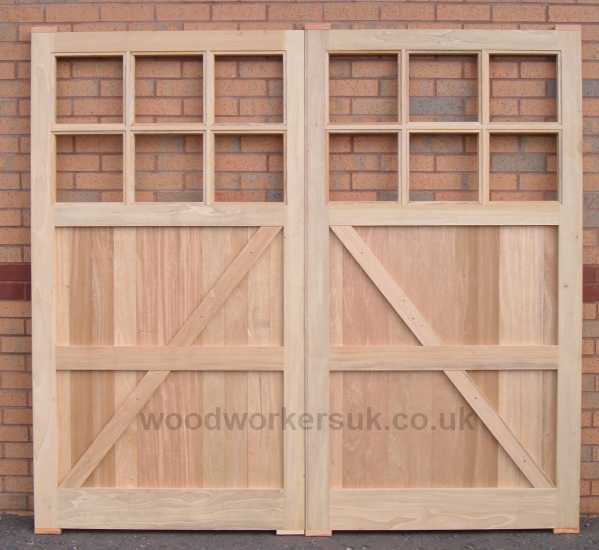 The Conway guide prices are based on a pair of doors 6ft 6 high x 6ft 6 overall wide (approx 1980mm high x 1980mm), these are NOT from prices, smaller doors will be more economical etc – contact us for a price! All prices are correct time of insertion and are EX VAT. Free delivery to most parts of the UK mainland is included – exclusions do apply, again please contact us. To get a personalised costing on our Conway hardwood garage doors please use the form below.